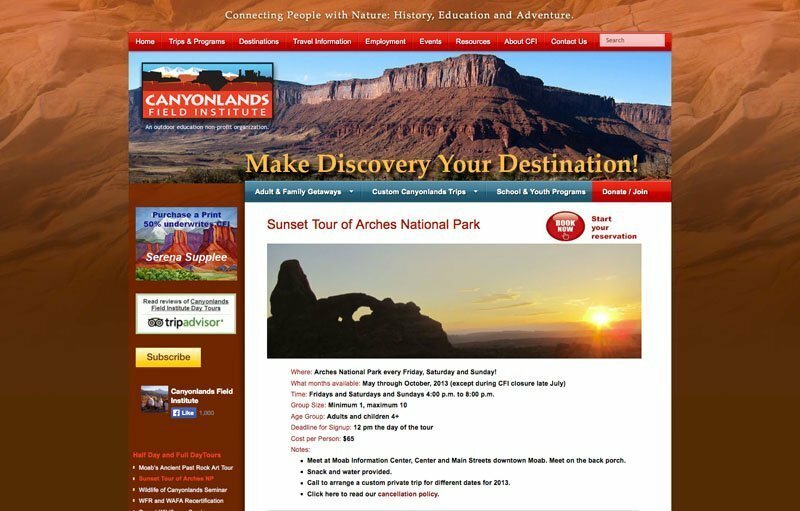 Canyonlands Field Institute, a nonprofit organization, has offered outdoor adventures for adults, groups, families, schools, and youth on the land and the rivers around Moab, Utah for 30 years. 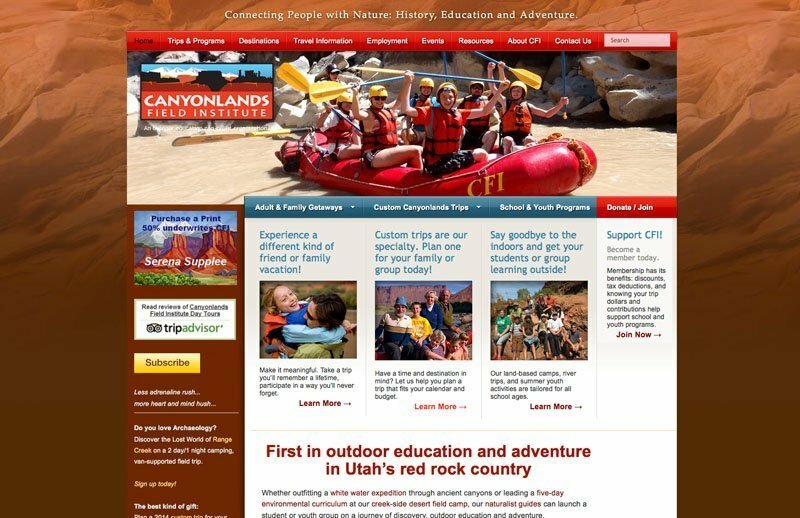 As a nonprofit with diverse clientele and various types of trips offered, CFI needed a site that would organize the content in a reasonable way and be easily kept current. 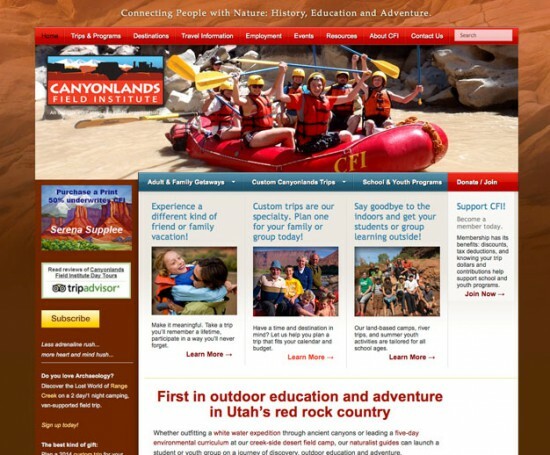 The site required conveying the canyon and river environment with adventure and education. This site was jointly designed with Linn DeNesti. We developed an organizational scheme for the material with three basic paths and used a mega-menu to facilitate easy navigation. 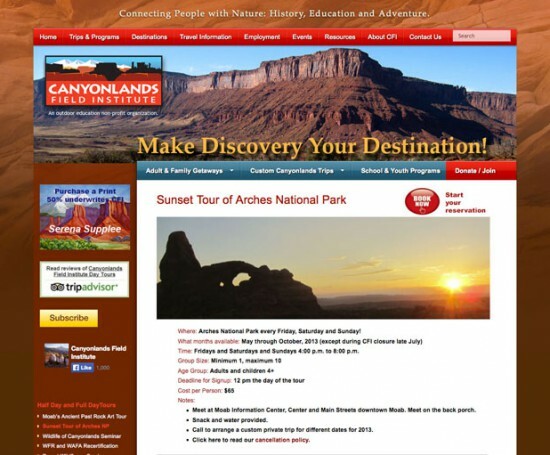 We offered custom edit panels to make sure the trips were entered and displayed consistently. We developed a rich atmospheric look utilizing many photographs.